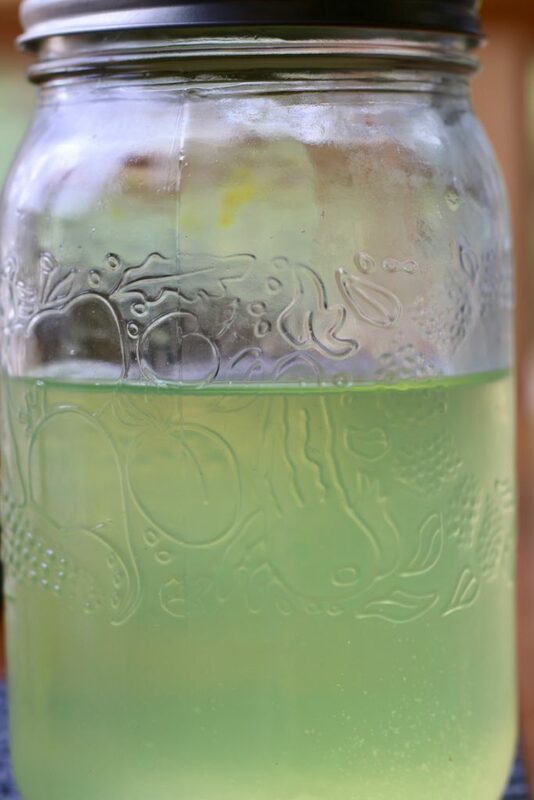 Super bubbly, delicious, refreshing and so easy to make! My family loves beverages with fizz. We drink lots of carbonated water (sodium free) and like to add our own flavours- our favourite is lemon and stevia. We also drink kombucha and milk kefir for the flavour, probiotic benefits, and controlled sugar content. 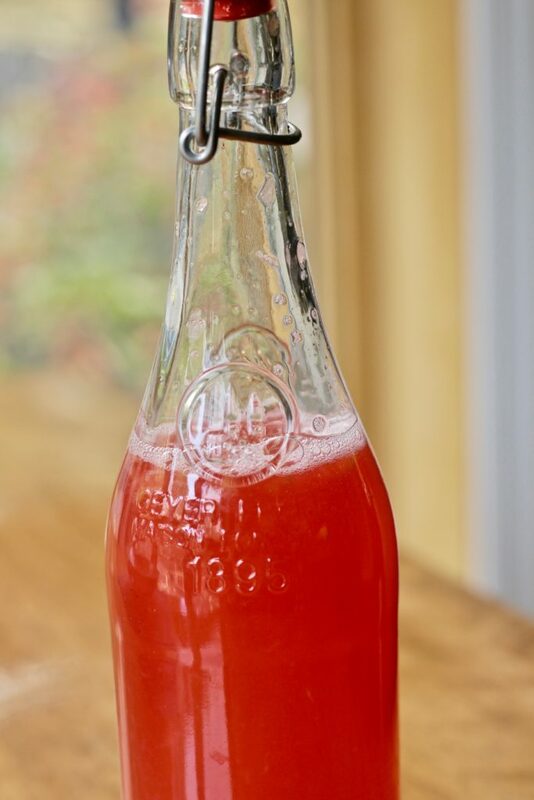 To add to the mix, I also make homemade, lemon-raspberry soda, naturally carbonated using a surprising ingredient.. milk kefir whey! Whey is the watery part of milk that is separated from the milk solids (curds) during fermentation (typically cheese and yogurt production). The whey that is separated during yogurt and kefir fermentation is generally very sour and acidic due to the consumption of the lactose (milk sugar) by the beneficial yeast and bacteria during the fermentation process. Its acidity and high enzyme content makes it a great marinade and substitute for buttermilk in cooking and baking. Whey is also very nutritious as it is high in protein, amino acids, minerals and vitamins. 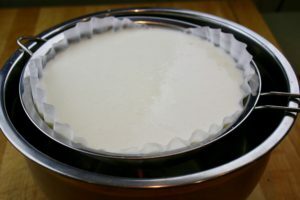 You can make your own whey by using this simple method that I use to make milk kefir cheese. 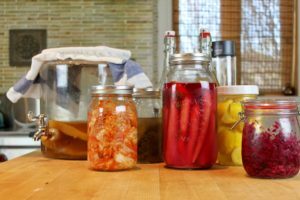 If you don’t have access to homemade kefir, you can also use organic, plain yogurt. For maximum probiotic viability, store whey in a sealed glass jar in the refrigerator for up to 2 weeks. I know it might sound weird adding dairy to a fruit drink, but remember that the milk solids have been separated from the liquid. The whey only provides the nutrients and probiotics, imparting no residual dairy flavour to the drink. Don’t be alarmed by the amount of sugar used in this recipe. 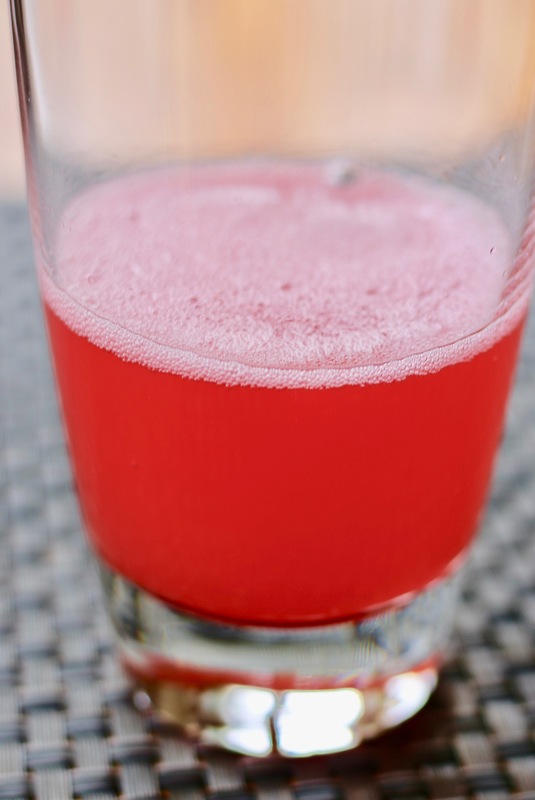 The beneficial bacteria and yeasts found in the kefir whey will consume most of the sugar, resulting in a tart, effervescent drink. This recipe also works well for other flavours. Substitute the lemon juice for any other juice of your preference. I’ve used many fresh juices, including orange, lime, grape and pomegranate. Warm water over low heat. Add sugar and stir to dissolve. Let cool to room temperature. 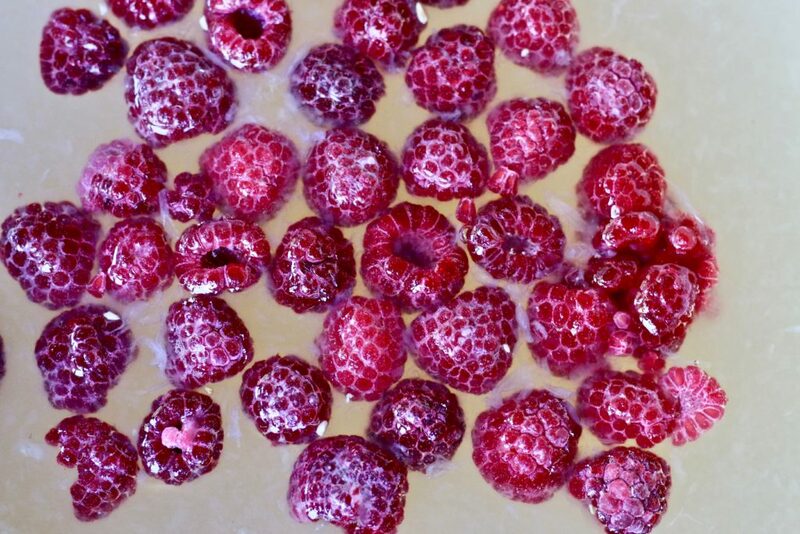 Transfer to a jar and add whey, juice and raspberries. Stir contents. Close lid and leave to ferment at room temperature, out of direct sunlight for 4-7 days. Shake jar once a day to discourage mould growth. 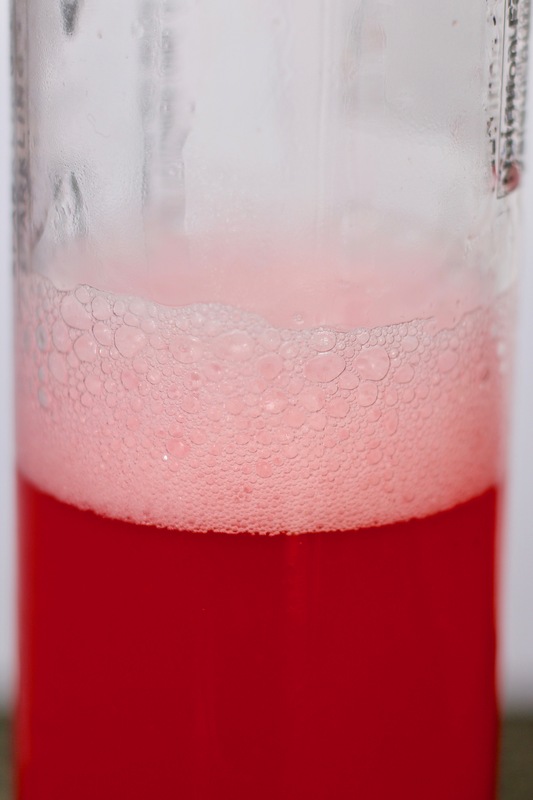 Bubbles should form after 3-4 days, and the mixture will become sour and fizzy. 5. Store in the refrigerator once the desired fizziness and taste has been reached. You can leave the soda in the jar or transfer it to bottles designed to contain carbonated beverages (remove raspberries, if desired). Cheers! This looks like a delicious recipe and I will definitely try it. Have you ever used honey as the sweetener? Hi Jocelyn- thanks for your interest and question. Yes, it is super yummy! No, I don’t often use honey as I’m not a big fan of the flavour. I like to use plain sugar to have a more uniform taste. Using honey as a sugar source can sometimes be “iffy” but if you enjoy the taste of honey, there’s no harm in trying. If you brew isn’t successful, you can always try again. Good luck!